July is the month blessed with endless sunshine, late evenings and holiday rhythms flowing from coast to coast. Give in to temptation by jetting off to one of many mesmerising holiday destinations. Summer is well and truly in full swing. It's a time for those lazy days on the beach followed by relaxing evenings by the barbecue. You're in summer paradise – so kick back, relax and immerse yourself in holiday mode! Madeira, Dalmatia and Mallorca are truly irresistible spots boasting temperatures of up to 29°C. So dive in and discover July villa holidays, it's time to get excited for your summer adventure. This beautiful Portuguese island sits in an enviable location where the sea of Europe meets the African ocean - influencing its year-round warm climate. Pack up your flip flops and swimwear, Madeira is waiting to host your wonderful July villa holiday! Or perhaps you’ll want to pack up your walking boots and explore the wondrous natural paths scattered across the island? The choice is all yours! And with temperatures of up to 24°C in mid-summer, it ticks all the boxes. The dramatic coastline and impressive natural beauty have made Madeira a recent favourite. So delve into a holiday of discovery! Sandy shores are an idyllic base for sun worshippers, while the volcanic remains provide perfect terrain for mountain biking and other activities for adrenaline seekers! 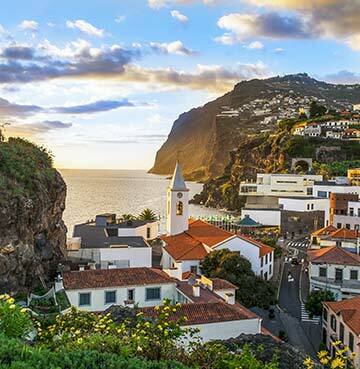 The capital of Funchal is home to intriguing architecture, traditional markets and tempting local restaurants. If you’re seeking a fun thrill, opt to challenge yourself on a toboggan! Madeira is teeming with endless opportunities for a memorable July getaway. The delightfully Croatian region of Dalmatia is packed with colour and diversity – from striking mountainside, to bustling cities and little islands waiting to be discovered. 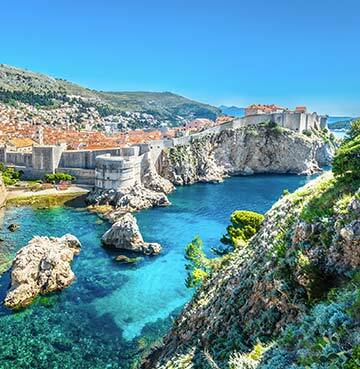 Sitting in the south of Croatia, it's home to the iconic cities of Dubrovnik and Split. Much of the region sits on Adriatic coastline, with plenty of opportunities to enjoy water activities during your villa holiday! Delve into the colourful streets of Dubrovnik, oozing with tradition and history. Be inspired by the puzzle of little white houses topped with red roofs, sitting ruggedly along the coastline. Take in unbeatable birds-eye views from a cable car, and get lost in the city walls and forts which will take you back in time. The old impressively meets the new in Split, which holds onto Croatian tradition met by a modern heartbeat. Visit the UNESCO World Heritage Site of Diocletian's Palace by day, and mingle in the lively bars by night. Or perhaps a stay at nearby Trogir is more tempting? This little town is home to a beautiful historical harbour and will lure you with its seaside charm. Picture unmistakeable sights of turquoise sea against a backdrop of rocky coves, warmly embraced by a Mediterranean glow. This is Mallorca! Beautifully picture-perfect and with average temperatures sitting at 29°C in July, this Balearic island leaves visitors in awe of its paradise setting. It may be known for its luscious coast, but there’s a lot more to be discovered as you head inland. 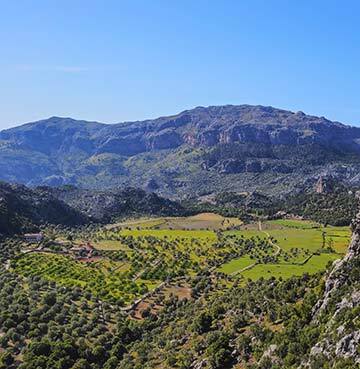 Serra de Tramuntana has earnt its status as a UNESCO World Heritage Site. If you fancy a day of exploration, this mountain range is home to scenes of breathtaking cliffs meeting the powerful blue sky above. To add even more to your itinerary, visit the quirky villages hidden among weaving roads. Meeting the locals becomes part of your itinerary – make the most of their warmth by enjoying a Spanish feast cooked up by talented chefs. The waters in Mallorca are serene and tempting - whether you fancy a dip in the sea, a thrill on a jet ski or prefer to simply admire the views from the sandy shore. Your villa holiday here promises to leave you with fond memories of treasured times spent with loved ones. Head away sooner with a June villa holiday or save that holiday excitement for another month and check out our August villa holiday destinations.